Venta Hygiene Disc, Venta continues its indoor air innovation with the worldwide patented Hygiene Disc: revolutionary technology for indoor air humidification and purification. Replacing the need for bi-weekly cleaning or liquid additives, the Hygiene Disc contains the ion exchange process and water softening agents needed for ultimate internal hygienic maintenance of your Venta unit. The Hygiene Disc is a safe and low-maintenance, preventing common by-products of hard water like lime and calcium from accumulating inside the water tank. Because of the unique Cold Water Evaporation technology the Venta Airwasher units use, the water softening granules do not evaporate and disperse into your air. Providing approximately three months of maintenance-free humidification and purification, the Hygiene Disc is simple to remove and replace, snapping on and off for an easy exchange. 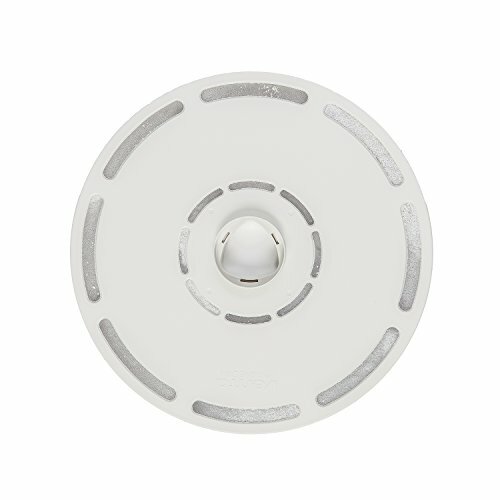 Providing approximately three months of maintenance-free humidification and purification, the Hygiene Disc is simple to remove and replace, snapping on and off for an easy exchange.